If you were injured in a Miami Target department store, we strongly urge you to call the Target injury attorneys lawyers at the Wolfson Law Firm in Miami. We know what to do to help you after your injury. We will aggressively represent you. The first thing you need to do is call the Miami personal injury lawyers at the Wolfson Law Firm. You can reach us 24/7 at 305-285-1115 for your free and confidential consultation. You fell in Target. Maybe you slipped. Perhaps you tripped. But you are on the ground. Feeling shock, pain and maybe embarrassed or even angry. What happens next? A Target employee should come to check on you. Our Target accident attorneys have seen the testimony of a former Target manager. Our Miami injury lawyers have reviewed documents that Target was forced to produce under court order. The results were both interesting and alarming. The Target protocol when a guest or customer falls in a Target store begins with the Leader on Duty. In the world of Target, these individuals are simply called LODs. It is very typical for large corporations to utilize acronyms for positions within the company. 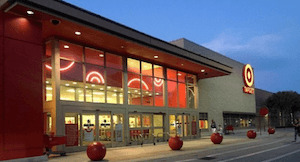 Target is indeed a large corporation with more than 1790 stores in the United States. The Target corporate headquarters is located in Minneapolis, Minnesota. The LOD is supposed to fill out a Guest Incident Report – known as a GIR – for all incidents involving Target guests or customers. Target management is expected to record the guest’s information such as name, address and other contact information. The LOD is required to take down the details of the incident such as a slip and fall, a trip and fall, or falling merchandise. The Target manager (LOD) should then have the guest review the Guest Incident Report and sign it if possible. What exactly happens to that Guest Incident Report? One copy goes to the Target store where the incident happened. The second copy of the Target incident report is provided to the customer. The last copy is sent to Sedgwick Claims Management Services which acts as Target’s claim representative. In Miami-Dade County, Sedgewick Claims maintains offices in Miami and Hialeah. What Should You Do With Your Miami Target Incident Report? If you were injured in a Target in Miami and were provided with a Guest Incident Report, you should probably call a Miami personal injury lawyer. If you have medical bills and lost wages as a result of a Miami Target injury accident, you may need help proving your case. You may not know it but your accident or incident at Target is very likely on film. A Target accident lawyer can advise you how to protect your rights and to make sure Target is held accountable when the company is responsible. Our Miami personal injury attorneys can represent you for your Target accident and injury claim. At the Wolfson Law Firm, our personal injury team works with our Managing Attorney Jonah Wolfson to offer you complete representation for your first call to our personal injury office through settlement, jury verdict or appeal. Jonah is a bilingual personal injury attorney in Miami. Just call us at (305) 285-1115 and let us get to work on your Miami Target accident injury case today.